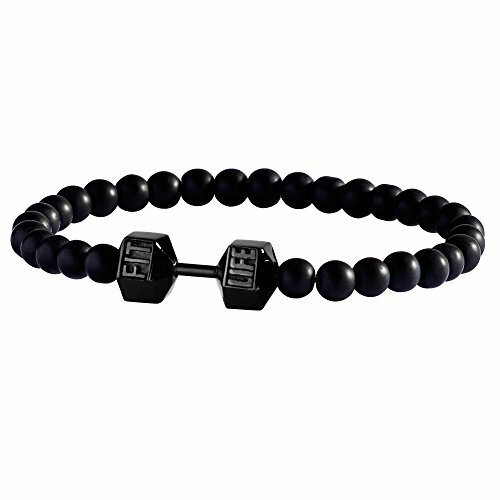 FitLife Dumbbell Bracelets are made out of stainless steel and high quality 6.5mm glass beads. FitLife's purpose is to keep you motivated on your personal fitness journey. Wear your dumbbell bracelet proudly to remind you of your goals no matter what outfit you have on. Stay motivated, driven and join the FitLife movement! Need Help Picking Your Size? Not sure what size fits you? No problem. The best way to figure this out is to grab a tape measure or a ruler and measure around your wrist. Then select the closest size that is as large or larger than what you just measured. Stainless Steel - wont rust or react with your skin! If you have any questions about this product by FitLife Fashion, contact us by completing and submitting the form below. If you are looking for a specif part number, please include it with your message.